Future England star being scouted by four Premier League clubs | The Transfer Tavern | Where football transfer rumours fly or die! 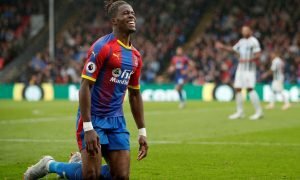 Crystal Palace starlet Wilfried Zaha is being followed by Newcastle, Wigan, Liverpool and Tottenham, as the London club realise their hopes of holding onto their prized asset is diminishing. 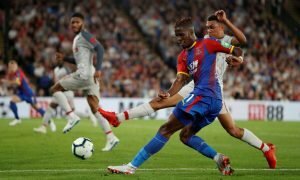 The England under-21 international has scored 2 goals for Crystal Palace so far in the Championship, but his techniques and prowess at such a young age has called for clubs in the top tier of English football to snap up the possible star. The Palace manager admitted the possible trouble of holding onto Zaha as he told reporters the uncertainty of his future. “It’s a little bit different with my kids, the relationship has been there a long time. Despite his potential, is he a Tottenham signing? Unproven at a high level, it would be foolish to waste a large sum of money on a player who has not got an incredible goal-scoring record like Jordan Rhodes, where his quality cannot be questioned. Since 2011, he has won the Crystal Palace young player of the year twice and also won the accolade of Championship young player of the year for last season. As a side pushing for top four, is Zaha really a man to take Tottenham forward? Obviously not. But with Obika, Kane and Lancaster all being possible strikers for the club, it would be a waste of investment to spend an approximate fee of £3-4 million for the footballer. Liverpool however are clearly undertaking a process of rebuilding and Zaha might well appeal to the mindset of Brendan Rodgers. Should Spurs follow up their pursuit of Zaha?